Back in April 2002, “Gump Roast,” the 17th episode of The Simpsons 13th season, wrapped with a song parodying the longevity of the landmark show. And even as legions of Simpsons fans across the globe laughed along at the many intentionally desperate and terrible future plot-lines pitched in the song's verses, for more than a few, it was a nervous sort of laughter. That was 13 years ago, and while The Simpsons does indeed show no sign of stopping (Fox has already ordered Seasons 27 and 28) fans’ increasing dissatisfaction with the series has also shown no signs of abating. Many openly call for the show to be axed. It was a wish that seemed a lot closer to being granted than ever before in May this year. Harry Shearer announced that he was leaving the series. The loss of Shearer, who voices a large number of key supporting characters (including Burns, Ned Flanders and Principal Skinner), seemed like a potentially fatal blow to the series. In the end, it all turned out to be a false alarm. Shearer returned for the next two seasons. But even if The Simpsons appears to be back on course, this Lance Murdock-like brush with disaster revealed a hitherto unseen mortality for the longest running scripted prime time TV series in U.S. history. It called back the question: Should creator Matt Groening and his team allow everyone's favorite four-fingered family to take one final bow? At a glance, it certainly seems that way. 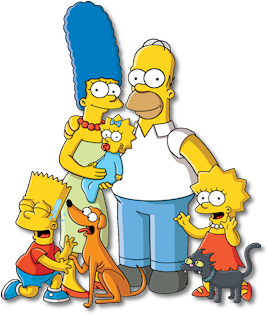 Having refined the cartoon sitcom formula and paved the way for others to follow, The Simpsons has struggled for over a decade to stay relevant and punchy in a world of South Park, Family Guy and countless other animated upstarts that share more than a few strands of Simpson DNA. With each season, from the early 2000s on, the show's humor has gotten broader and less subtle in its execution, while the scenarios and world have gotten less tethered to reality. Perhaps this is too harsh. It might well be that The Simpsons has simply evolved into something new that doesn't appeal to the long-time audience any more. There's a precedent for this: when Al Jean and Mike Reiss became showrunners in season three, they infused the grounded, “slice of life” style of the previous seasons with a distinctly surrealist vibe. Many fans who were keyed into that earlier version of the show disenfranchised, as the younger generation ate up the new seasons like Homer on free donut day. So is that the case? In their own way, are these modern era Simpsons episodes just as good as those from the so-called “Golden Age” (seasons 3-8) of the 90s? Sadly, I think not. It's more than rose-colored glasses that keeps older fans of The Simpsons clinging to their favorite classic episodes. At its peak, the show was incredibly sophisticated, working at a level that appealed to children and adults alike. Episodes featured slapstick, visual gags, incredibly sly wordplay, and cultural references. Now, in its Abe Simpson-like dotage, the show's jokes seem obvious, the wordplay more crass, and the references less subtle. This is only the tip of the iceberg when it comes to the problems afflicting the fine folk of Springfield. Problem one: We're left with the same inevitable issues that “Gump Roast” poked fun at way back when. It's virtually impossible to keep telling entertaining stories, with the same characters in the same setting for decades. As Professor Frink himself would undoubtedly point out, the law of diminishing returns dictates that the writing teams behind the The Simpsons were always going to get less and less mileage out of Springfield and its citizens with each passing year. Notwithstanding reinvention, Homer, Marge, Bart, Lisa, and Maggie have told all of their stories MULTIPLE times. Even the supporting cast has pretty much exhausted its storytelling potential. Now, Groening and co. can only hope to embrace plot-lines and character developments that risk completely breaking these characters and their world (which would itself likely prove another nail in the show's coffin). Problem two: (the one I argue is the greatest) As Burns once admonished chronic-overachiever Martin Prince: “Where's the heart?” By and large, so many of the new episodes lack the strong emotional core of classics from the early years. The Simpsons might have been the smartest show on the block in its prime, but it also had the most heart. Episodes meted an unparalleled mixture of biting cynicism about people, and the world, married to an unshakable affection for both. From the “You are Lisa Simpson” moment in “Lisa's Substitute” to the “DO IT FOR HER” plaque in “And Maggie Makes Three,” every classic season has a moment capable of making the eyes of even the most jaded fan mist over. This unique combination of caustic wit and unabashed warmth is why The Simpsons was able to enjoy such previously unseen levels of popularity, and inspire the number of imitators it has. Fittingly, it's the absence of this very same balancing act in the modern episode that has killed the series, and why it needs to canceled, much like the Krusty the Klown Show back in season four. But it doesn't have to be all gloom and doom (if there's one thing I never like to focus on over on my blog, The Pop Culture Studio, it's the negative). Think about it. If Groening and co. decide to pull the plug on The Simpsons now, that gives them the chance to plan and execute a victory lap for the show. I, for one, am optimistic that, given the freedom to create one final season, everyone involved would relish the challenge of crafting a finale that left fans screaming “Woo-hoo” rather than yelling “D'oh!” These fans, and this greatest animated sitcom of all time, deserve it.